Vail, CO – On Tuesday, the 34th annual Burton US Open Snowboarding Championships announced its entertainment schedule, featuring free performances by established headliners and up-and-coming performers including GRiZ, Big Grams, The Bright Light Social Hour and The Sheepdogs. 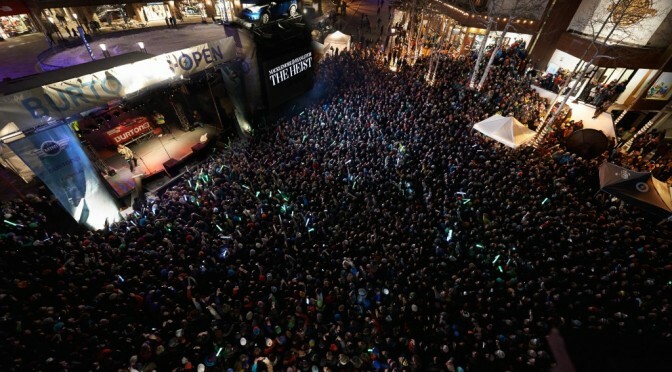 Taking place March 2-5 in Vail, the Burton US Open has a long tradition of hosting free concerts for the huge crowds of spectators to top off each day’s snowboard events. Entertainment kicks off on Wednesday, March 2nd following the Junior Jam award ceremony on the Solaris Concert Stage. The Sheepdogs, the first unsigned band to grace the cover of Rolling Stone in 2011, hit the stage with “pure, simple, good-time music.” The Saskatoon, Canada-based band recently released their fifth LP, Future Nostalgia, firmly rooted in the rock tradition. On Thursday, March 3rd, following a full day of halfpipe semi-finals competition, The Bright Light Social Hour bring their electric live set to the Solaris Concert stage. The Austin, Texas-based rockers are currently touring behind 2015’s Space Is Still the Place. The band exploded onto the Austin music scene in 2011, taking home six SXSW Austin Music Awards with their self-titled debut album. After the US Open slopestyle finals award ceremony on Friday, March 4th, American experimental hip hop trio Big Grams take the stage. Big Grams consists of rapper Big Boi (half of the Outkast duo with Andre 3000) staying true to his trademark southern rap style, merged with Phantogram—the electronic rock duo of Josh Carter and Sarah Barthel contributing new wave synth and Barthel’s seductive vocals. Following the US Open halfpipe finals award ceremony on Saturday, March 5th, GRiZ will be closing out the week of entertainment. At only 25 years old, Detroit-based GRiZ (Grant Kwiecinski) has had a huge year. This self-described “saxophone playing, electronic funk music producer” has been dominating the world of electronic music, headlining some of the nation’s top venues from New York to Los Angeles. The Saturday night party continues at the US Open Closing Event at Dobson Ice Arena with a lineup of live DJs to keep the dance party going.